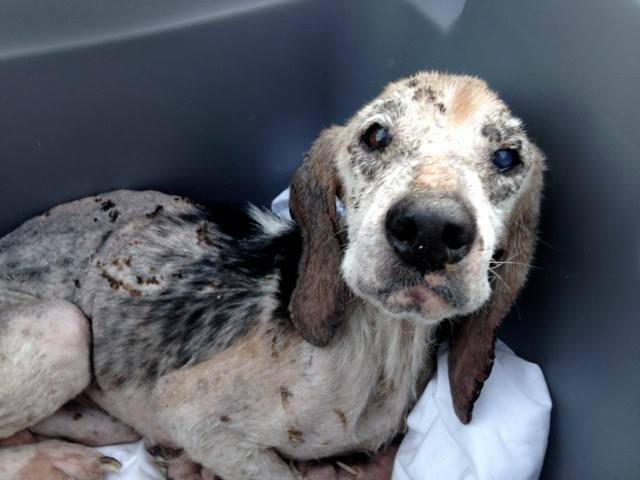 This senior Basset Hound was brought into our Assumption Parish location as a stray. Shock was our first reaction, then an outburst of tears. The obvious was tha the had been starved almost to the point of death. He even smelled like it. He couldn't walk and could barely stand up. His eyes were empty and one was actually blind. He had given up on life. 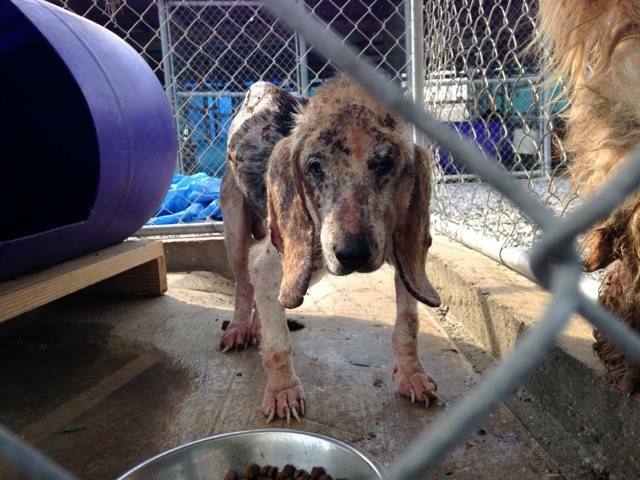 After being rushed to our vet, it was determined that starvation and a serious skin condition were the least of his many problems. His injuries (severely fractured pelvis and hemothorax) consisted of being hit by a car or beaten by a foreign object. It will be a miracle if he even makes it and he has a VERY long road to recovery. Escargot is currently with our vet at Cypress Lake Animal Hospital (38316 Hwy 929, Prairieville, LA 70769, 225-313-3057). Since moving to the South, we have become more than just a Pit Bull rescue. 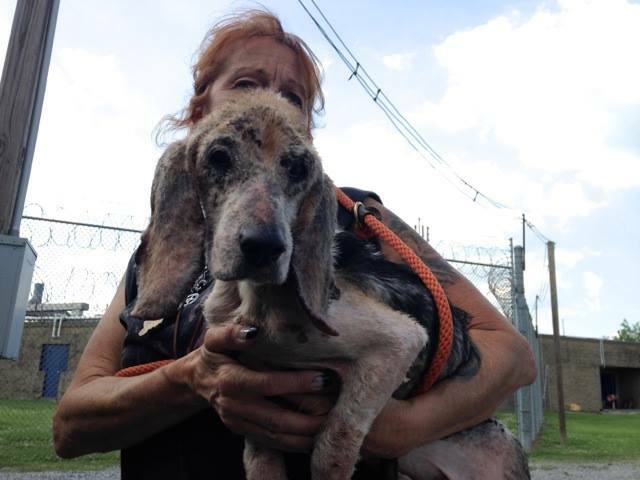 Hounds are now a big part of our rescue efforts as well as all breeds; purebred and mixed. 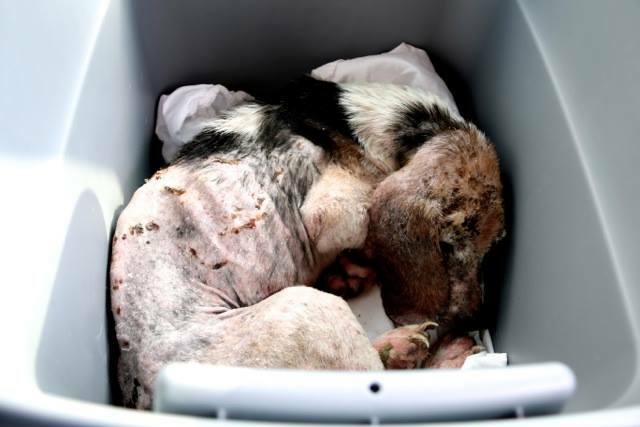 We came here with the intentions of focusing on all the Pit Bulls in need of help but when we run into situations like this…how do we walk away? We don't. But not walking away comes with a price. The lack of resources, space and funding is now making it next to impossible to function. 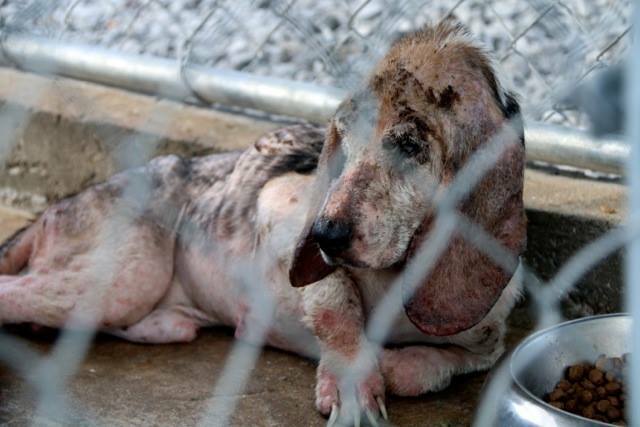 Without all of you, we would not be able to help dogs like Escargot. 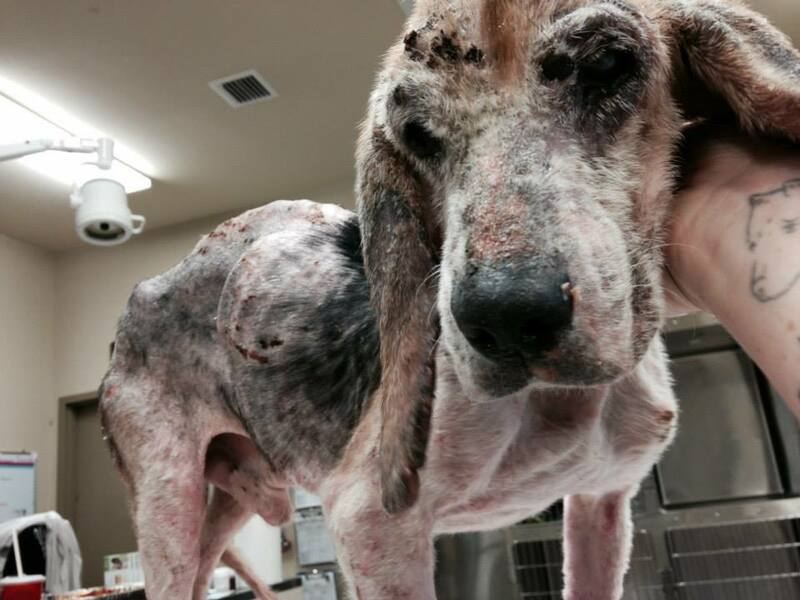 You can help dogs like Escargot by making a donation on our website or directly to our vet. You can also use our wish lists on PetFlow, Amazon (and please sign into your AmazonSmile first), or even WalMart. Escargot has a long way to go before he is even out of the woods and can be considered for adoption. Until then, we will keep you updated.